So the question is: what will soon revolutionize the movie theaters? When will the novelties make us want to leave our sofas at night and on weekends? Here are 3 ideas and, the most amazing is that the cheapest of 3 has already taken a step ahead! Obviously, we do not project “Pretty Woman” but rather movies like “Saw”, I let you imagine the atmosphere and scenery that can cause … Finally, for the style relax and premium, there are also some Cine screenings organized in large rooms with Jacuzzis. 2 / The second innovation comes from the English but the French can already enjoy it too: here come the new seats of movie theaters! We start with the simplest: the “love seats” tells us the site of the newspaper Le Figaro. We can sit in love and live a cinema session with cuddles on a bench that do not separate us. Note that there are cinemas in France that offers this. To find them, just type “love seats Paris” on Google and you will have all the addresses. And if we settled in the cinema as if we were in our living room? In Sweden and Washington, you can take advantage of a large space to leave your shoes and settle comfortably for a movie screening. For this luxury service, of course, places are more expensive. After that, it makes you want like that, but what about the stains and other foot smells in the room? Ba yes, if everyone ends up in socks … Uh … And if I spill my soda? It will stick the cucul for the following spectators no? Finally, here comes the immersion chairs! Europacorp (Luc Besson’s box) works on reclining leather seats with armrests and footrests. We will call it the 4D. The idea is to add a sensory dimension to the projection with effects of wind, smells and vibrations to live a fiction that becomes sensation one could say. If you’ve been to Disneyland Paris before, it’s exactly the same concept as the attraction “Sweetheart I narrowed the audience” but with movies worked on purpose for this experience. They seem happy to take a jet of water in the face in the photo not ?? 3 / Finally, the last innovation is the one that is already recipe (and not only a little)! And for 3 times nothing level cost! Here comes the commented cinema. 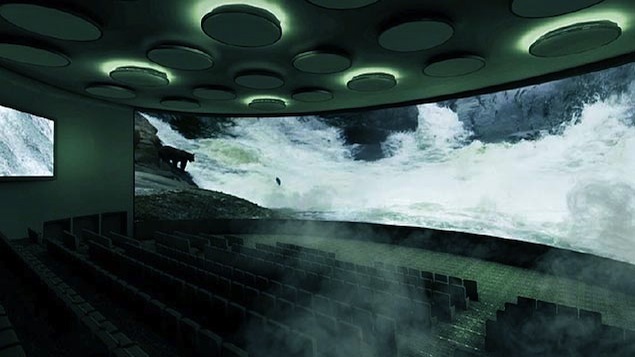 The concept is to offer viewers movie theaters to use their smartphone to comment on the film so. And the comments appear directly on the screen of the room at the same time as the projection. One wonders how the drifts do not end up ruining the film eh? Well just because these sessions are offered on turnips! The worse the film is, the more fun it is to participate in this kind of session we are told in Beijing and some Texas venues too! The picture above shows what it looks like in a Beijing room.